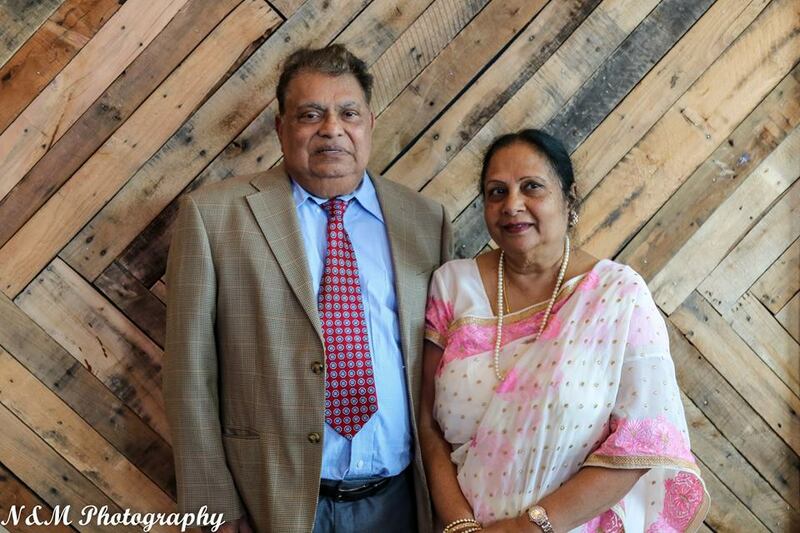 Mr. Suman Gamadia, father of Neeraj Gamadia passed away on February 20, 2018. 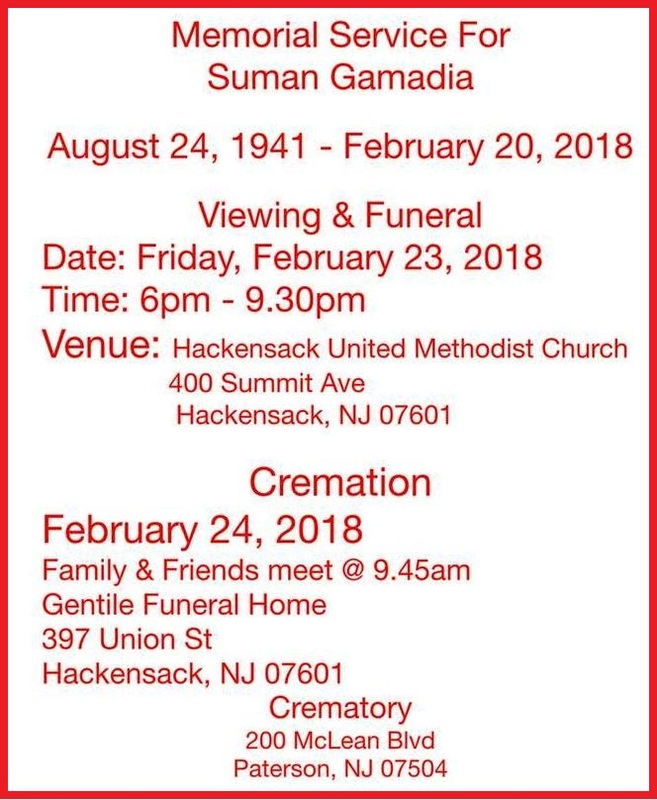 Mr. Suman Gamadia, father of Neeraj Gamadia passed away on February 20, 2018. Very sorry to know that uncle Suman won’t be among us here on earth anymore. He was very supportive any and all community activities and events. 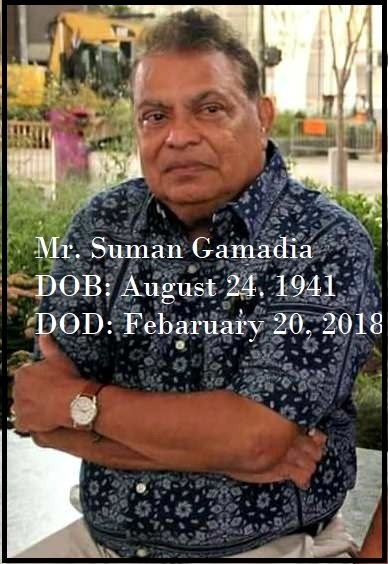 My heartfelt condolences to Gamadia family. He will be missed. May God rest him in his eternal peace and grant comfort to his family and friends. Please find below details of his memorial service. 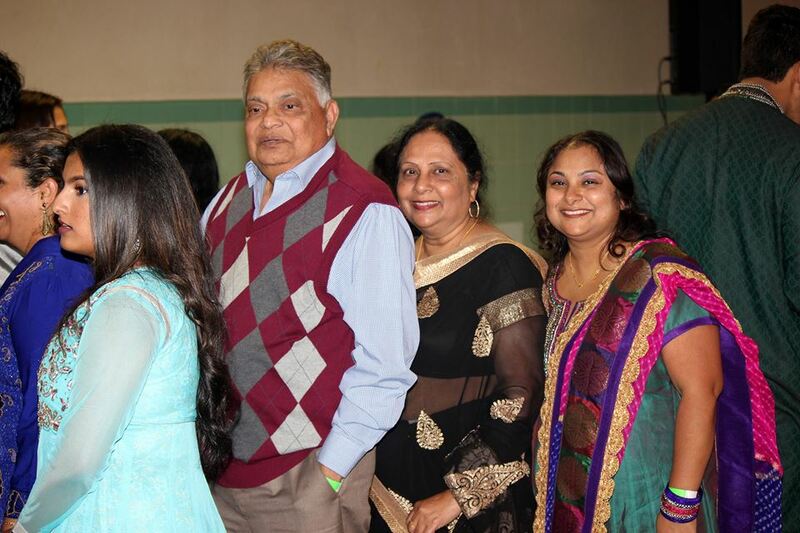 “Gujarati Catholic Samaj of U.S.A” a not-for-profit organization established in 2010 had a grand and a highly successful celebration of “Christmas Garba / Dance Night “, thanks to Mr. H.R. Shah, Chairman of TV Asia. 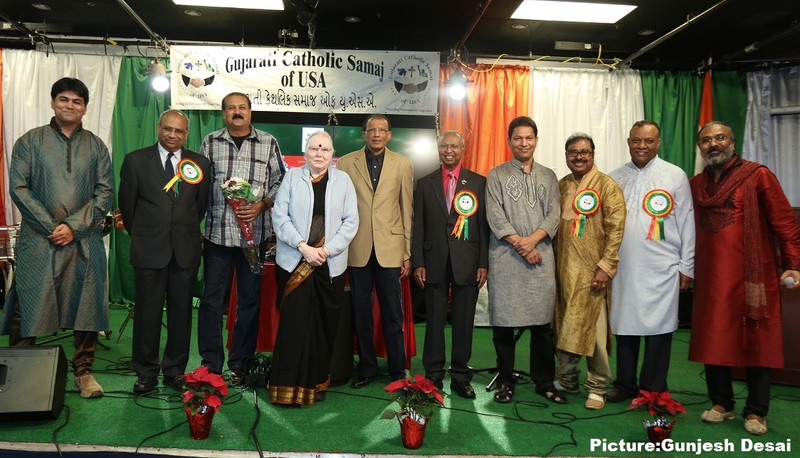 GCS of USA’s vision is to bring our community together to unite, preserve and propagate and grow the rich cultural heritage of Gujarati Catholics from around the world. 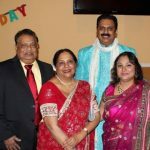 We organize various Programs, Events, Educational Fund Raising Activities, and Education Developmental Projects for the community, Social Events; Various yearly Celebrations, Entertainments, Various Seminars on Social Awareness, Religious Awareness in Regards of Gujarati Speaking Catholics Residing in Unites States of America. To stay connected to families, relatives and friends back home to Gujarat, India. With this in mind this extraordinary Event was organized in the gorgeous “Sardar auditorium” of the very popular “TV Asia” in Edison, NJ on Friday, December 23, from 7:30PM into early AM hours. 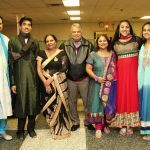 More than 250 people of various denominations from all over United States participated enthusiastically and enjoyed this first of its kind live Gujarati Christian Garba. This was a first time in North America that such an event of this scale was organized. 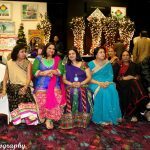 At 8 pm the evening many dressed in typical and colorful Indian costumes created a distinctive and homely environment that many Indians miss in USA. A very popular and talented artist Mr. Prakash Parmar, lead the group of other musicians and brought the entire crowd on their feet with his singing. The well-known Mr. Dipak Gundani also joined the Mr. Jayesh Saraiya and Monty Lalani of the percussion team and made the crowd go wild with beats on Dhol. Mr. Renison Macwan who came all the way from Houston and shared his masterful skills on keyboard. Hensu Macwan a very young artist, supported with his skills with Guitar. Mr. Ketan Christian made this event very interactive, connecting with the crow such an enthusiasm and created a family get-together environment. Mr. Raj & Amit Macwan handled the DJ system successfully. 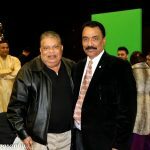 We were privileged to have this selfless individual who has made extraordinary contributions for the cause of humanity and community at large, the well-known entrepreneur, philanthropist and community leader, Mr. H.R. Shah, the Chairman and CEO of TV Asia, to visit this event at 9:30. He was greeted and welcomed with a loud, joyful & Cheerful applause by the attendees. GCS of USA, President Mr. Shantilal Parmar and Chairman Mr. Jagadish Christian along with the other committee members lead Mr. Shah to the stage and greeted him flowers. 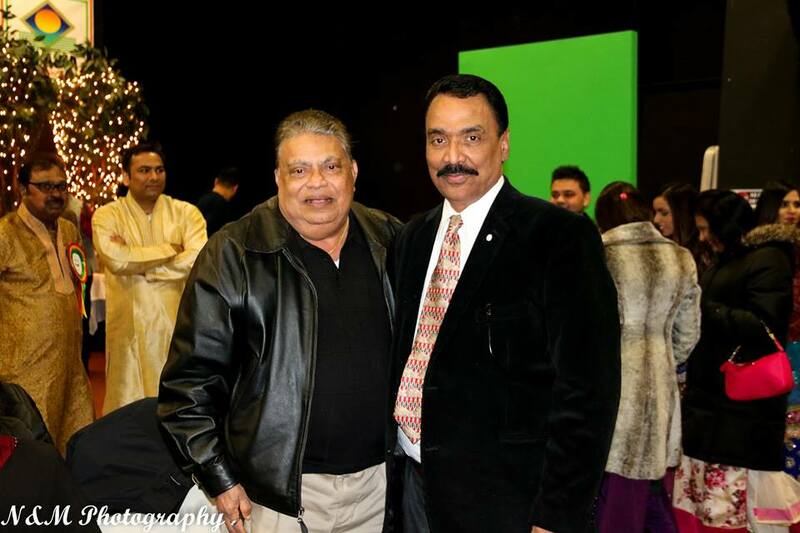 Founder-President Mr. Joseph Parmar, presented a Plaque to Mr. H.R. Shah. Mr. Shah applauded and expressed his happiness to see this kind of community celebrations in USA. 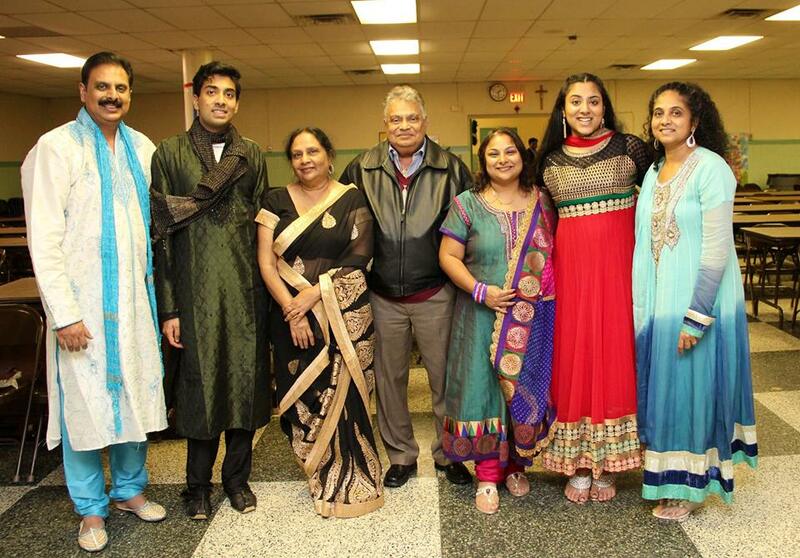 Mr. Shah pointed out his joy by saying “It is so good to see traditional Guajarati Garba in celebrations of Christmas. He welcomed the entire Christian Community and wished everyone “Merry Christmas”. He also assured his support and extended an invitation to GCS of USA for use of this fabulous venue in any upcoming events like this. The entire crowd was cheerful of this announcement and applauded in a gesture of a gratitude. This event was made complete by the presence of Mrs. Sarojben Gundani, a well-known, very popular singer-composer of Gujarati Geet-Bhajans. She has made a special and loving place in Gujarati Christians’ hearts with her Christian psalms, songs and Bhajans. 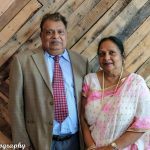 She was welcomed with flowers and was honored with presenting a Plaque for her services to Gujarati Christian community. She reminded everyone of her long and happy relations with Gujarati Christian Community. 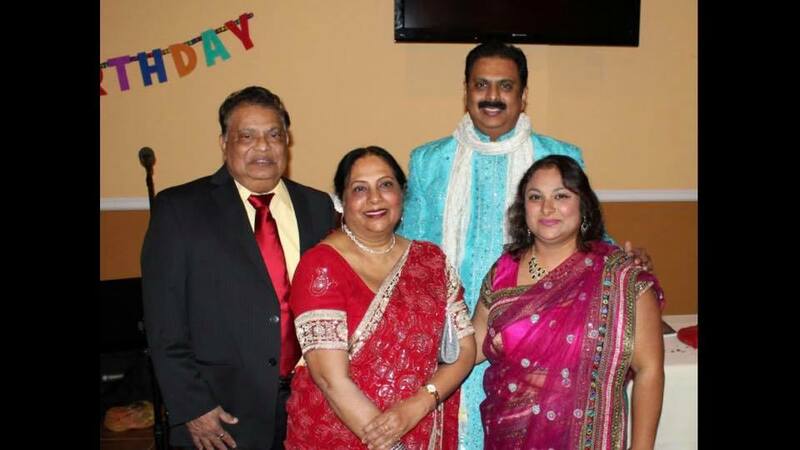 As a token of her love for this enthusiastic and cheery crowd, she lead the celebrations with her singing couple of her popular Gujarati Christian renditions, which was appreciated by all. Mr. Raj Macwan joined with her as well to sing. 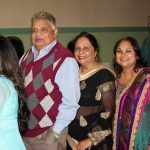 This event was supported by many local non-Christians and well-wishers, notably Mr. Vijay Thakkar, a Doordarshan fame and Radio Personality and an established writer. A young and upcoming poet, composer and singer Mr. Rathin Mehta also made this event more meaningful by his presence. Both were greeted with flowers. Mr. Raja Bhatty of TV Asia and Mr. Gunjesh Desai showed their support throughout this event by video recording and providing live feed on Facebook. As Prakash Parmar, the Lead singer and all the musicians were making sure that the atmosphere stayed energetic and everyone was enjoying, Mrs. Sapna Gandhi and Miss. 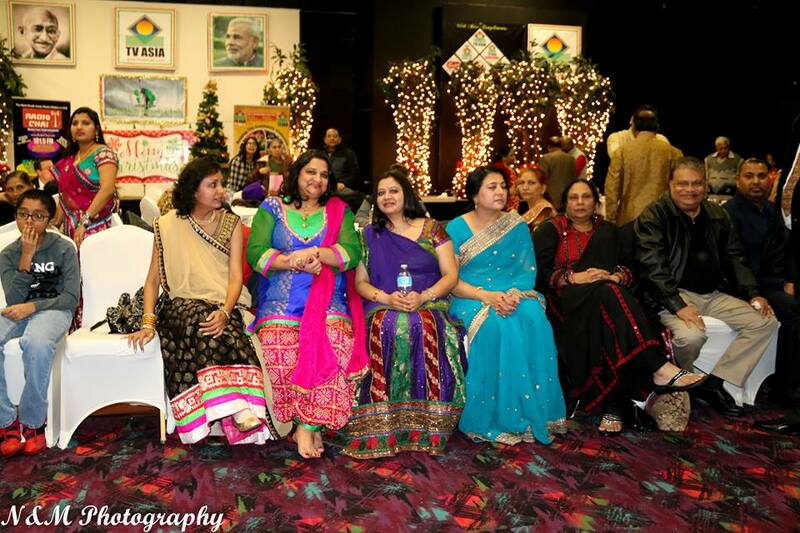 Rinni Hamilton, as a designated judge were busy observing carefully to choose a male and a female winners for best traditional costumes and a best Garba players. Sharon Macwan and Eric Christian were declared as winners for best costume and Irena Leo and Joy Christian were declared the winners for best garaba. Winners were presented with $50.00 gift certificates. As the end was approaching, the energy level was at the pick and “Sanedo” style was being enjoyed by everyone there. There were few who sat on the side watched this amazing display of celebrations. Finally, this festival was ended by a closing prayer by pastor Kanubhai. Everyone left with joyful hearts and suggesting to continue this type of celebrations!